We carefully nurture and steward gifts from donors for the communities they care about. With every investment we make, we have one goal in mind: to put as many resources as possible each year back into the community to amplify good work across our region. 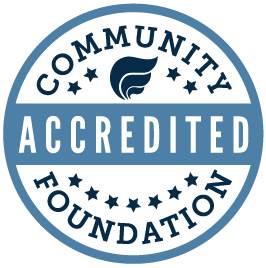 At the end of 2018, the Community Foundation's total assets (unaudited) were $133 million, of which $112.9 million are permanently endowed. Our Investment Committee, comprised of seasoned industry professionals, partner alongside a team of financial advisors, to manage the contributions you make to the Community Foundation. They work to mitigate risk in an uncertain market and provide a consistent flow of granting dollars into the community you call home. We also partner with FEG Investment Advisors to oversee our investment structure. FEG is an independently owned, full service investment advisory firm serving Community Foundations across the nation. Our investment strategy is set and monitored by the Investment Committee with long term objectives in mind. We strive to provide a consistent flow of funds for grantmaking and Community Foundation initiatives while minimizing risk and preserving the value of gifted assets. Most endowed assets are invested in our primary endowment pool, the Long Term Pool. Pooling the assets provides funds of all sizes the benefits of diversification and lower fees, which means more philanthropic dollars going back into the community. We also offer two additional investment strategy options for endowed fundholders, the Strategic Growth Pool or an Environmental, Social and Governance Pool for endowed funds.­­ Non-endowed fundholders choose from a Money Market Pool, an Income Pool and the endowed pools listed above. Contact Anne Calder, vice president of development, at (563) 326-2840 to learn more.